That has been one of America’s greatest challenges ever since, and there certainly are numerous discernible threats to our republic today. Certain of our institutions play a critical role in sustaining the republic and promoting and protecting the unique character of the United States of America, and they therefore have a tremendous obligation to operate ethically and honorably. To the extent that they abandon their obligation, the country’s fundamental character is threatened. 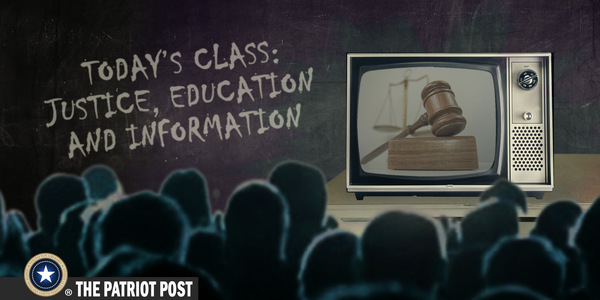 Those institutions are: the justice system, the education system, and the information media. Imagine you have a business renting apartments. One of your tenants, who has rented a place for $1,500 a month for three years sends you a check for only $900 for the current month. You contact the tenant and are told that he views the lease that both you and he signed as a “living document,” the meaning of which may be altered as circumstances change. Having lost the job that paid $73,000 a year, his new job pays only $45,000, and he says he can now only afford $900 rent a month. That is precisely the rationale that activist judges apply when they abandon the clear language of the U.S. Constitution and the laws of the land to make rulings they say are in line with current circumstances and the “mood” of the country, and because the Founders and those who enacted older laws were unable at that time to imagine current circumstances, that old stuff must be modernized. However, the laws or Constitutional principles that activist judges disagree with must be amended or repealed through existing formal processes, not ignored or altered because they are viewed as inconvenient. If momentary interpretations are all that matter, and the Constitution is merely a “living document,” we don’t have a Constitution and we are not a nation of laws. A nation needs its history and culture – all of it: the good, the bad, and the ugly – to be passed down from generation to generation so that its people will know who they are and where the came from, and can properly determine where they want to go and why. While families should pass much of this along to children, we largely entrust this duty to formal education. To guide the learning process and assist students in learning an array of important and useful subjects and life lessons, we employ teachers, professors, instructors, and such, who coach and assist students. Most of us had at least some teachers, professors, coaches who inspired us and helped us learn difficult subject matter, develop our skills, and learn how to think critically and logically. Hopefully, we did not have any that strayed from their professional duties and tried to tell us what to think about things, rather than developing the ability to think for ourselves. Today, among the great number of effective educators there are too many who stray from the straight and narrow, especially in colleges and universities, where education too often takes a back seat to political and ideological indoctrination and politically correct policies. Imposing beliefs on students is worse than merely disrespecting the student; it is an outright abandonment of integrity and principle. Along with an accurate base of knowledge about the country’s founding and history presented to them in schools, the people need to be well informed about current events. Information journalism contains two parts, and they must be kept separate. One is news about events, which must be accurate, honest and objective. The other is opinion, and must be clearly defined and omitted from straight news. But far too often, opinion and political considerations sneak into news reporting, and also into the selection of what news gets reported and how it is reported, as well as what news does not get coverage. This is like playing golf blindfolded. You might find your driver, your ball and a tee, and you might tee up and actually hit the ball, but after that, you are literally in the dark, depending on the honesty of those around you to accurately describe the situation for you. The American Left – liberals, progressives, socialists, etc. – has a vision of America that is in many ways sharply at odds with the founding principles. Both beneficial and harmful ideas that the Left pursues are at odds with the ideal of limited government, because using government to force things on the people is the Left’s tool of choice. Fortunately, there are obstacles to using government to “fundamentally transform the United States of America,” as a former leftist president pledged. These obstacles are difficult to remove, as they should be. So the Left resorts not infrequently to re-interpreting the Constitution and the laws; managing and manipulating the information coming through much of the mass media; and sometimes indoctrinating children. We all need to remember that worthy and broadly beneficial ideas will sell themselves; they don’t need people to take short cuts or cheat to get them accepted.